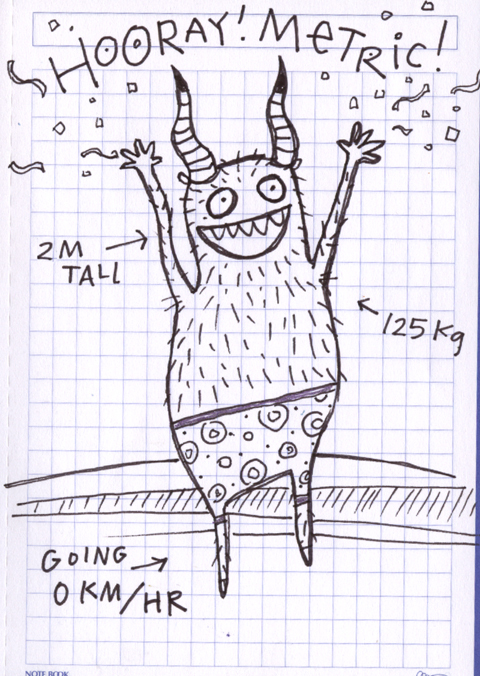 Monster #33 — Hooray for Metric! This is definitely going to become a magnet and button at fishcakes.net. Soon, I think. I like the monster underwear.